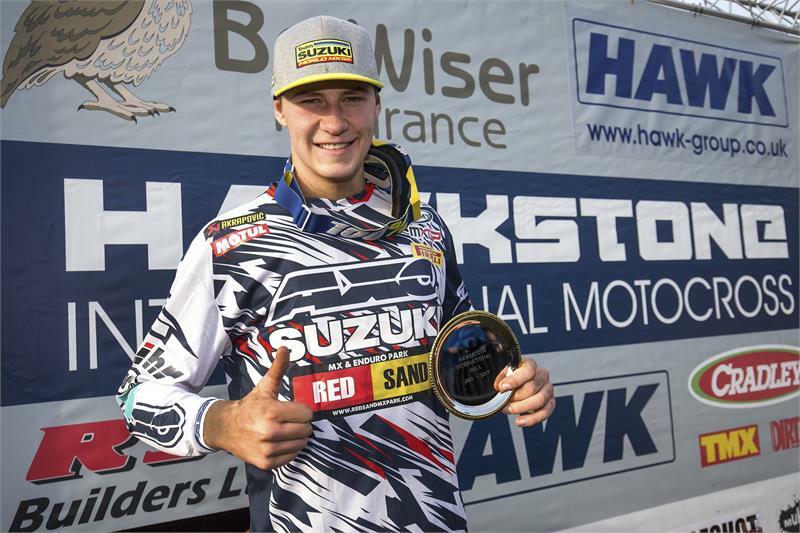 After the unveiling of the new Factory RM-Z450WS at the team’s Lommel HQ in Belgium on Friday, Suzuki World MXGP kicked-off the 2017 motocross season with strong performances at the Hawkstone International in the UK on Sunday. With Kevin Strijbos and Arminas Jasikonis on the new machine, this was the first chance to really put it through its paces – the first time for fans and world media to see the brand-new bike in action in race conditions - and overall it was a good trial-run as both riders put in strong rides in sandy and muddy conditions at the former Grand Prix venue in Shropshire. In the two-moto format, it was Jasikonis who had the fastest qualification time in the MX1 class (MXGP in the FIM World Championship), then going on to get the third-step of the podium with a third and fourth in the two races. He came through the field in both races and was pleased with his improvements on what is his first full year with the team: “Overall, the speed of one lap was good, I won the qualification. I made a small mistake in the first moto but I’m happy, I know where I am, I made quite big-steps since last year and a big thanks to Stefan and the team for making that possible,” said the tall Lithuanian.